I recently toured a factory that designs and makes robots for the manufacturing industry. As my guide proudly demonstrated the smart robots his company was making for a client, I asked him how many employees each robot would replace. He sheepishly replied, “20.” This is just one example of the way technology is replacing jobs at an accelerated rate in nearly every industry. It is also why I rode my bicycle from coast to coast and interviewed 100 entrepreneurs – but more on that in a minute. We see the impact of technology all around us. E-commerce is reducing the number of jobs in retailing. Self-checkout kiosks are eliminating positions in grocery stores. Computers are performing jobs in the service sector. Software is replacing analysts and accountants. Online learning is changing the traditional “brick-and-mortar” educational model. And smart cars and delivery drones may eliminate millions of jobs in the transportation industry. Related: The Robots Are Coming. Is Your Job Safe? Nearly half of our occupations could become obsolete due to new technology. 80 percent of us will experience long periods of unemployment during our careers. New technology often leaves employees feeling disconnected from meaningful work. Job displacement due to technology acceleration will primarily impact the middle class. I am not an alarmist. We have survived major employment shifts in the past. Over the years we have transitioned from an agricultural economy to a manufacturing economy to an information economy. The important issue today, however, is whether we can keep up with the changes technology development will require. Some experts believe it will take longer to make the employment shift this time because jobs are being eliminated much faster than new industries are being created to replace those jobs. While we don’t know what jobs of the future will look like exactly, we can probably count on more outsourcing, more contract work, more project-based opportunities, more part-time employment, and shorter employment periods. Hence, the greater need for us to create our own meaningful jobs and organizations. They take full responsibility for their own livelihood. They find needs in their community they are qualified to meet. They create multiple streams of revenue to support themselves. They make a variety of long term investments in their future. They create an outstanding personal brand in their community. Related: How to Take Control of Your Career ... Now! 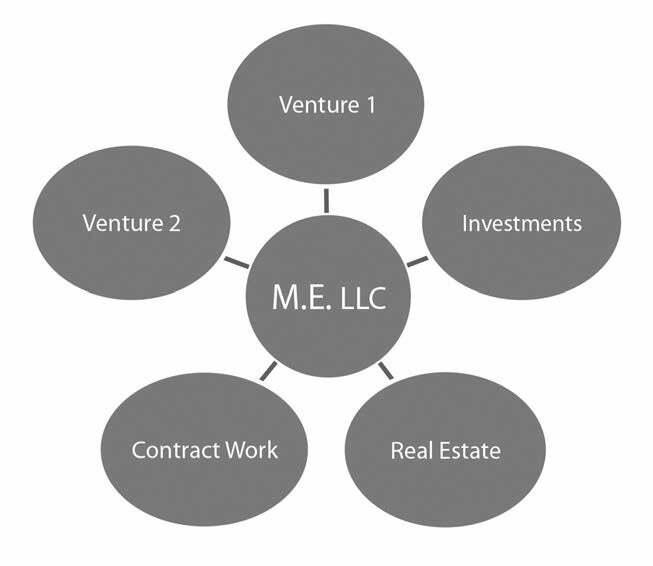 As technology continues to eliminate jobs and transform industries, we all need to create our own ME, LLC. After completing my 4,000 mile bicycle trek across America, I am more convinced than ever that anyone with passion and tenacity can do this. To succeed, we must learn how to identify important needs in our community, develop strategies to meet those needs, build a community of loyal customers, cultivate multiple streams of revenue, and build a strong personal brand - all things we can learn how to do. It’s time to start building ME, LLC.